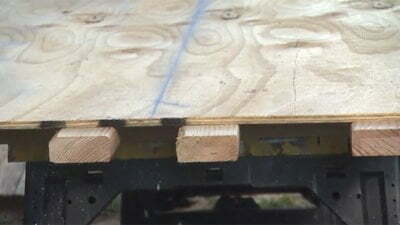 Using only a pair of 2x4s on the sawhorses while cutting a sheet of plywood can cause the sheet to sag in the middle, pinching the saw blade and creating dangerous kickback. Instead, use four 2x4s, with two of them on either side of the cutline. This will support the sheet better as you make your cut.